Today, the notion of “rights” are discussed in the context of individuals’ struggle against the “state” to preserve one’s privileged (God or Nature given “rights” to an number of things that we will determine as this discussion progresses. This framing of the issue of human rights is not a recent event; in fact, throughout history, claims of rights were always addressed to remedy an abuse of power. The recent development only refined identity of who is in the position of power and who stands responsible, as a matter of law, for the abuse. All actors on behalf of a state or an entity that perpetrate abuse and violate the “rights” of peoples are now held accountable. The first form of an “Islamic state” was created in Madinah; and from where we stand today, we can scrutinize the record of that state to look for instances of abuse or lack thereof, for presence of mechanisms that promote and protect rights or lack thereof, and for the institutions that governed the entire balance of power. Without going into too many details, it is fair to say that during the lifetime of the Prophet Muhammad and through the Caliphate of Ali, the social order and the form of governance was never a subject of modern-day political discourse: all forms of social relations were decided from the bottom down. First, the mundane and religious rules were decided in the “revelations”, and during the Righteously Guided Caliphate, social norms were decided by interpretation in its narrowest sense. The political discourse did not emerge until the Umayyad rule. During the Umayyad Caliphate a number of things happened. First of all, the role of ethnicity and tribal affiliation returned to the political scene. Governors and administrators were not selected based on their merit and personal qualifications, rather personal loyalty and biological affinity became central in the process of selecting administrators and political and military leaders of the state as the Caliphate became a pure monarchy. The other feature of this time period is the lack of religious credential of the Caliphs. This is especially important, as it may have been the cause of the emerging of independent scholars. The role of the members of the family of the Prophet (Ahl al-Bayt) can only be forced into the forefront given their special place in the eyes of the masses. The civil war that brought Ali and Mu`awiyyah on a collision course, continued to place the surviving descendants of Ali at the forefront of every rebellious movement. The Prophet’s grandson’s rebellion is just one example (Hussein, Karbala, and other Shi’ite rebellions should come to mind here). This clear dichotomy or apparent separation of political and religious authority did not change after the fall of the Umayyads and the rise of the Abbasids, despite the latter’s excessive display of piety. Scholars continued to form an independent class whose affiliation with the political leadership varied from one scholar to another and from one Caliph to the next. As for the Sunnis, the `ulama sought the support of the Caliph; hence, their religious leadership grew under the watch of the political one. There had been disagreements and, at times, crises like the inquisition (mihnah). The mihnah years exemplified the shifting loyalties and patronage that existed then. In the meantime, Shi`ite scholarship continued to develop under the guidance of their Imams. During the Abbasids rule, the Shi`ite leaders seemed to be satisfied by their limited role as spiritual leaders. During this time period, scholars in both camps, the Shi`ite and the Sunnite, sought to find logical as well as authoritative means that will enable them to survive in the absence of the Caliphal political support. The Shi`ites claimed their direct lineage to the Prophet to be a source of authority. They, or at least their representatives, made it clear that the Imams are the guarantors of the “true faith” and “true knowledge.” God’s grace (lutf) would insure that the masses have access to absolute guidance. For that to happen, God first sent the Prophet Muhammad, the Prophet appointed Ali as his successor, Ali appointed Hassan, and each Imam would do the same until the end of time. The Shi`ite Imams are infallible (because of this notion of lutf); hence, their commands are as binding as those of the Prophet. Shi`ite school of thought would split into a number of tendencies nonetheless, but the themes had remained almost the same for all of them with the exception of some key concepts that were meant to address a particular set of circumstances for a particular school of thought. For example, the Twelvers (or Imamis) had invented the concepts of Minor and Major Occultation (Ghaybah Sughra and Ghaybah Kubra) in order to account for the disappearance of the twelfth Imam. Similarly, the Shi`ites had to accept the practice of ijtihad—developed by Sunni scholars—after the Major Occultation in order to answer new legal and religious questions that used to be the specialty of the Imam. For the Sunnis, methodological, philosophical, and theological principles were to be implemented in order to provide some authoritative grounding for their legal and religious rulings. Principles like ijma`, qiyas, istihsan, istishab, istiqra’ etc… were articulated to the point that they produced new disciplines and new sciences like usul al-din, usul al-tafsir, usul al-fiqh, and many more. This era of intellectual growth reached its peak when Shafi`i codified and standardized the legal discipline by the third Islamic century. I postulate that it was at this time that the Islamic civilization became a literate society; that is one where books became sources of knowledge and were used as references. This era also represents, in my opinion, the last authoritative period, as scholars of this generation are more or less the last generation of scholars who could refer directly to the Qur'án or to the Sunnah and extract a legal or religious decree (fatwá) without being bound by the opinion of previous scholars. Although the scholars who succeeded these ones were considered mujtahids, I submit that they did not enjoy the sort of latitude known to the founders of the classical Islamic schools of jurisprudence. The product of these scholars then would remain as the third layer of authoritative documents that must be incorporated in any later opinion. In summary, we can say that by the time Shafi`i systematized Islamic Sunni law, the consensus of Islamic scholarship was forming around some major concepts and principles. As to the sources of Islamic law, there emerged a consensus that the Qur'án constituted the primary source, while the Sunnah formed the secondary source of law. Having established that does not mean that an Islamic judge today could simply look into the Qur'án or the Sunnah literature and be able to issue his own legal ruling. The process is quite complex. First of all, the method of extracting legal or religious opinion is now coined under the technical term known as ijtihad. Ijtihad simply refers to the exerting of maximum effort in understanding the nature of the legal proofs (adillah shar`iyyah), then applying those principles in order to issue a final decree. The entire system of jurisprudence is of a layered nature, not only in matters of law, but also in matters of authority. In order to make this clearer, let’s take a hypothetical legal case and trace the path of the legal process up until the point where it emerges as a ready-to-use fatwá. Let’s imagine an average Muslim named Saleh today who approaches his Imam (a Muslim lawyer or Mufti) seeking formal legal ruling regarding smoking whether it is allowed or not. To the layman, things are generally of two categories: legal or illegal (halal, or haram). To the mujtahid, the legal proofs are worded in such a way that it would allow for more than a black and white set of choices. Depending on the words chosen in a particular legal proof (dalil) in the Qur'án or the Sunnah, the legal ruling (hukm) could be anyone of five: obligation (wujub), prohibition (tahrim), neutrality (ibahah), favorability (istihbab), and dislike (karahah). The determination of whether something falls under any of the previous legal rulings depends on the language and context of the legal proofs; like negative and positive imperatives (al-amr wa al-nahy), neutral statements (khabar), or favorable and unfavorable recommendations (tafdil and adam al-tafdil). The scholars of legal theory—for us known as mujtahids—had already established these rules that are adhered to by scholars from all Islamic schools of thought. In addition to the above, the mujtahids had devised practical mechanisms and methods that would enable a Muslim lawyer (mufti), who is generally a specialist within one of the classical schools of thought, to issue a final decree. A lawyer’s final decree will then fall under one of those five rulings based on an explicit Qur’anic or Sunnaic text, on a previous consensus (ijma` al-salaf), on an analogy (qiyas), on the consideration of the welfare of the community (istihsan), on continuance (istishab), on deductive reasoning (istiqra’), or on established customs (`urf) in that order of hierarchy. Of course, it goes without saying that the latter tool must not produce a decree that conflicts with a conclusion reached via the preceding mechanism and so on and so forth. Returning to Saleh’s case, the lawyer might then issue a decree prohibiting smoking because it falls under the same category as other intoxicants that are prohibited by way of Qur’anic injunctions. He would then be said to have issued an order (fatwá) of prohibition (tahrim) based on the principle of analogy (qiyas). As to how smoking was classified under the same category as “intoxicants,” it must be noted that that topic again, is a matter of legal theory (usul); hence, a matter decided by mujtahids under the header of qualifiers (`ilal). All that a Mufti needed to do was to look into characteristics or traits that qualified intoxicants to be prohibited. Once that was done properly, the conclusions of the law is a straightforward process. What follows from the above analysis is that, by the time of al-Shafi`i, Islamic law and jurisprudence, had reached maturity and became more or less a positive law with roots in religious doctrines. Islamic jurisprudence fully differentiated itself from other disciplines, and so did the Muftis who became a class in their own right. It is my personal opinion that there is an important technical difference between the Mufti (or the Faqih) and the Mujtahid; a Mujtahid is one who is qualified to deal primarily in legal theory (usul), whereas a Faqih is simply one who issues formal legal opinion in practical secondary matters (furu`). In this paradigm that I am proposing, the Mujtahid is more prolific; hence, being capable of playing both the role of the Mujtahid and the Mufti, whereas a Muslim lawyer may not be qualified to address legal theory matters. Subsequently, I would argue that the legal theory (usul al-fiqh) discipline is more inclusive then law (fiqh). 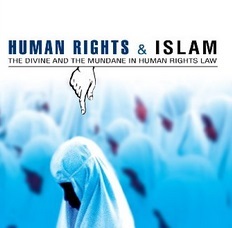 Now that we have dealt with the development of the differentiation of Islamic jurisprudence, we will proceed to examine documents from this time period that dealt with human rights issues in order to bridge modern thought with original sources of Islamic law, namely the Qur'án and the Sunnah. The document that follows is an illustrative and representative one. It tells us how Muslims of that era saw rights and responsibility, and it gives us a glimpse of the nature of social relations that existed at that time period.